GEORGETOWN, Guyana , Jan. 15, CMC – Another step towards fighting crime and violence across the region, will be made with the launch of the 10th European Development Fund (EDF), CARIFORUM Crime and Security Cooperation, scheduled to be held in Barbados this week. The 10th EDF CARIFORUM, to be launched on Wednesday will focus on three main thematic area – reducing the demand for and dependence on illicit drugs; advancing the thrust towards Drug Supply Control Initiatives with enhanced coordination and dialogue with Latin America, and addressing some of the critical factors for Crime and Violence Prevention and Social Development. Other highlights of the programme include an overview of the crime and security programme by CARICOM Secretariat Director for Human and Social Development, Myrna Bernard, and updates on the specific focus of implementing agencies in advancing programme initiatives. These agencies include the Regional Security System (RSS); Implementing Agency for Crime and Security (IMPACS); Caribbean Financial Action Task Force (CFATF), Consejo Nacional de Drogas, Dominican Republic and the CARICOM Secretariat. 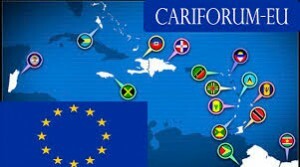 The Caribbean Forum (CARIFORUM) is a sub-group of the African Caribbean and Pacific Group of States and serves as a base for economic dialogue with the European Union. It was established in 1992. Its membership comprises the fifteen CARICOM States and the Dominican Republic.